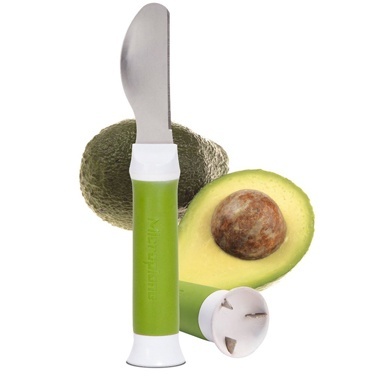 The Avocado Tool from Microplane features a straight edge blade with an exaggerated wide curve and rounded tip to effortlessly slice through avocado's tough skin, and scoop the flavourful flesh inside. 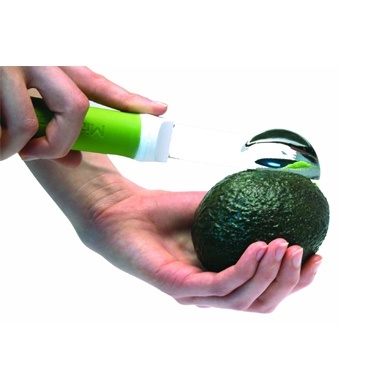 Three prongs at the base of the tool safely and easily handle the tricky task of pittng the avocado without resorting to using knives. 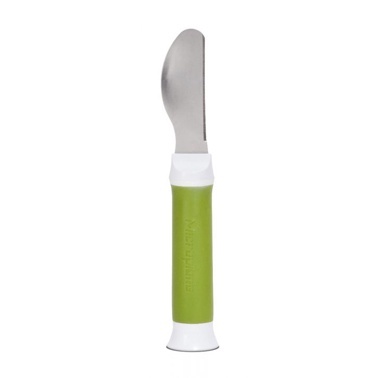 Crafted in bright green with white accents, the space saving, wand-style Avocado Tool features a soft touch handle for a comfortable and secure grip. 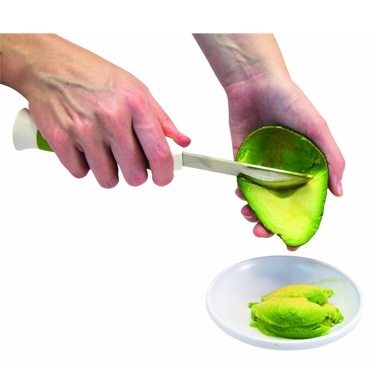 For easy cleanup, it is also dishwasher safe.